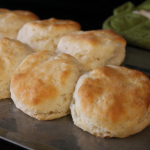 This is a Southern classic – the way my great-grandmother, grandmother, aunt and mother have always made it. 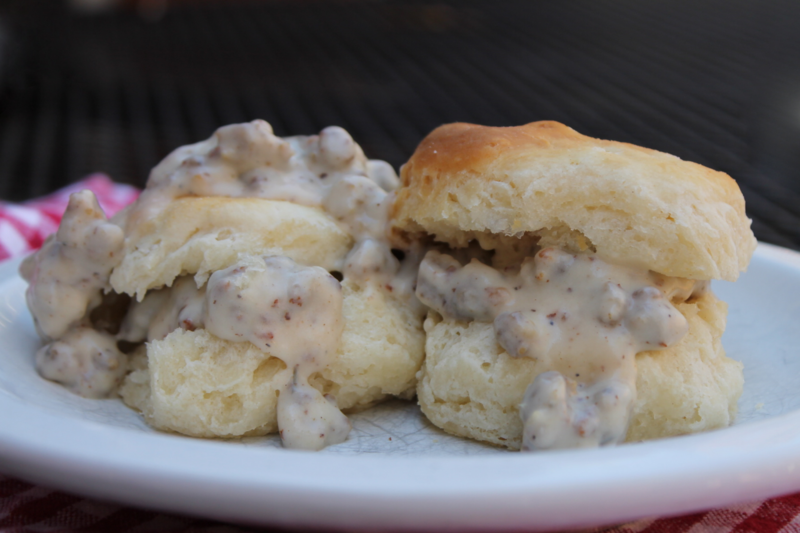 Anytime we have a family gathering, it is guaranteed that there will be biscuits and gravy for breakfast. 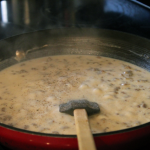 I love the memory of my grandmother standing and stirring gravy early in the morning. Sitting curled up in my pajamas in her kitchen waiting for breakfast to be ready was the absolute best way to wake up. 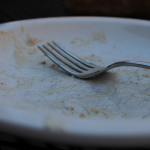 I love that she taught my husband how to make her gravy, and that he always says, her gravy was the best he has ever had. 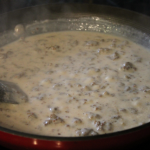 Making this gravy (also called sawmill gravy) just exactly right is based on feel and look and taste… and like many family recipes, this is something that has been taught but has never been written down. Today we’re putting this one on paper (well online really), and we know you can master it! Step by step instructions and pictures are below. 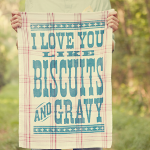 Express your love with this Southern comfort food and soon your family will be saying…. 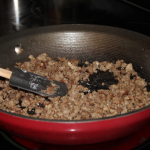 With stove turned to medium heat, brown sausage and drain off any excess grease if necessary, keeping about one tablespoon of drippings in the pan. 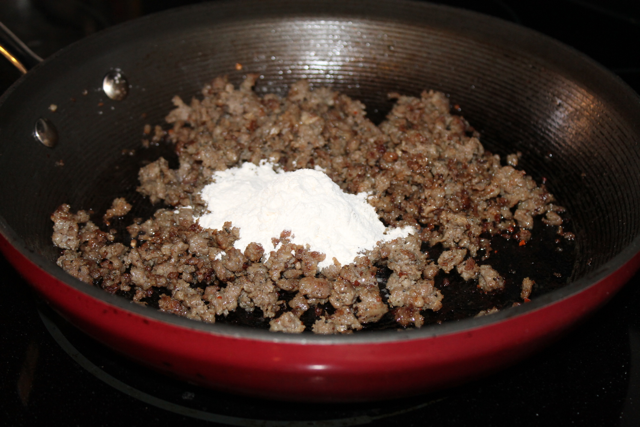 Sprinkle flour over the browned meat and stir until flour is absorbed. 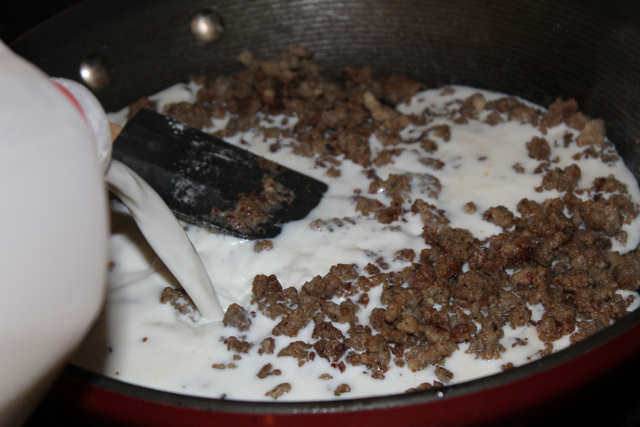 Next, pour in milk and begin stirring slowly and steadily. While you are stirring salt and pepper to taste. 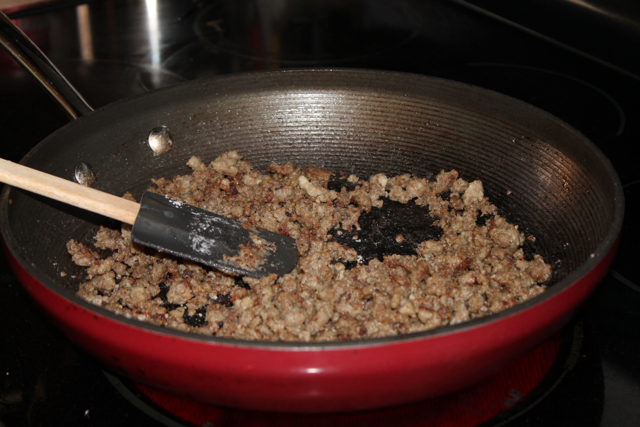 At this point it is only a matter of time before the gravy thickens to the perfect consistency… don’t walk away from the stove! Perfect gravy is thick enough to not be drippy, but thin enough to soak up with a biscuit! 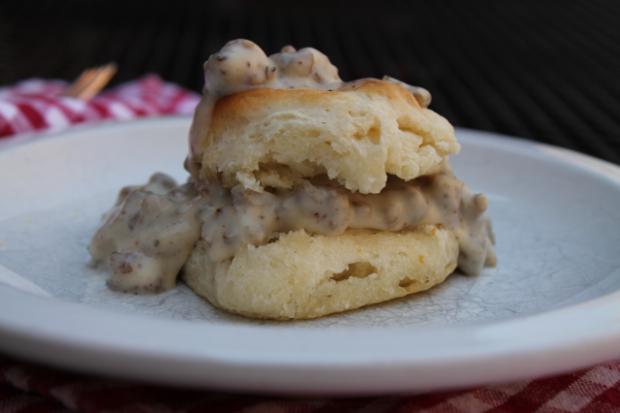 When the gravy is ready, spoon it onto your favorite biscuit and serve right away. 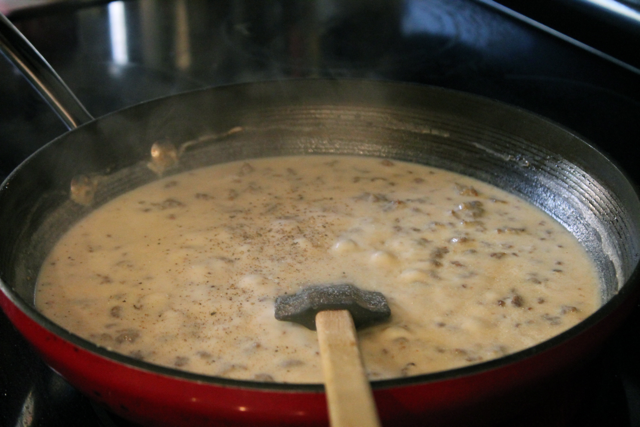 More milk can be added if needed – the gravy will continue to thicken as it rests in the pan. 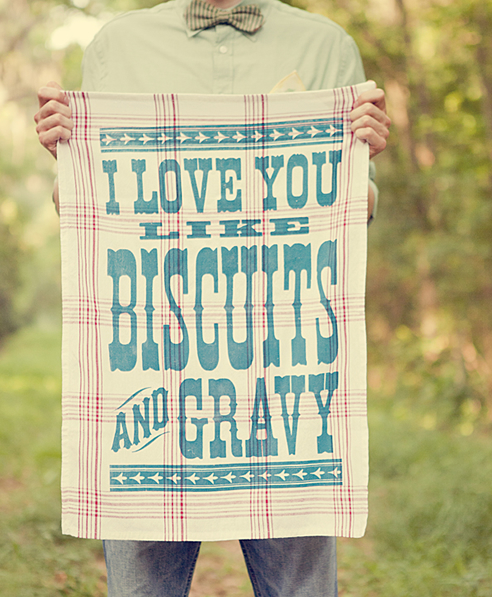 Tell us, did you grow up on biscuits and gravy too? Oh Yes! I grew up of B&G. 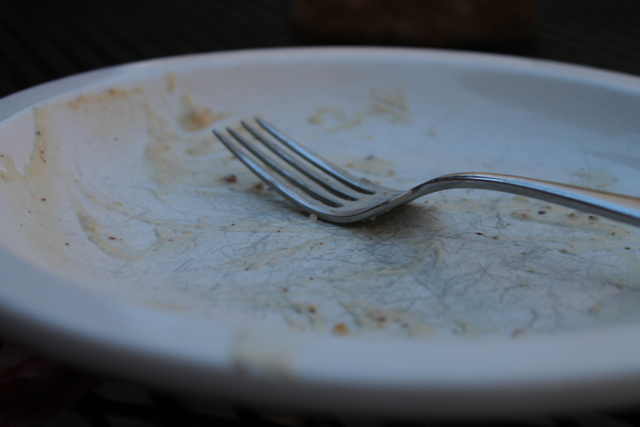 There is nothing so heart warming as eating B&G made by mom. 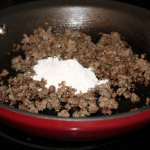 I know I can make it myself but there is just something unexplainably different if Mom makes it. 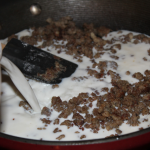 I still make biscuits & gravy every morning before leaving for work. 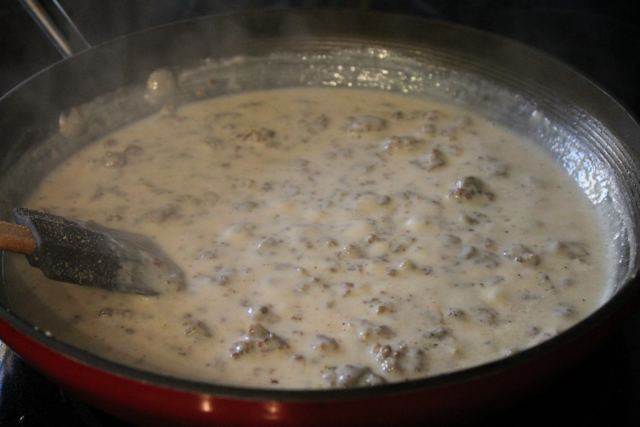 My white sausage gravy is made exactly as your grandmother’s. But my grown kids, still want my tomatoe gravy when they come to visit. Being the man of the house and sixty one years young, I have never trusted my wife to cook, and I know she loves it this way. 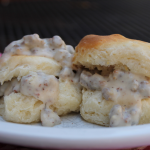 Biscuits and gravy every morning – sounds wonderful! Tell us, how do you make your tomato gravy? Hi. 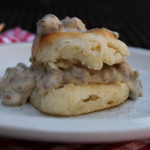 I live in Australia and always wondered what biscuits and gravy was. 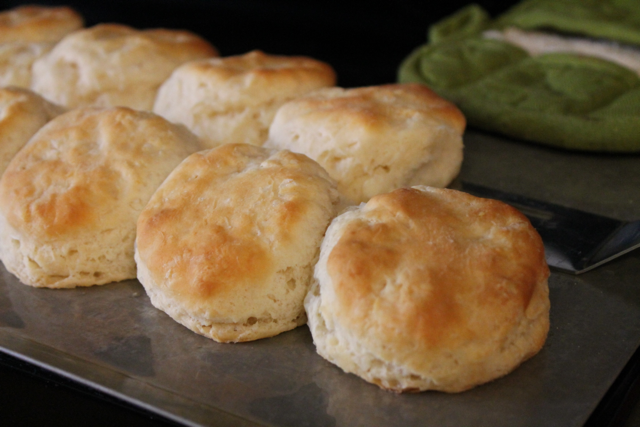 I knew biscuits are similar to what we call a scone, but it’s nice to have a recipe. I will pin it to try later, thankyou. Now when you lower the price a new ranking will appear. 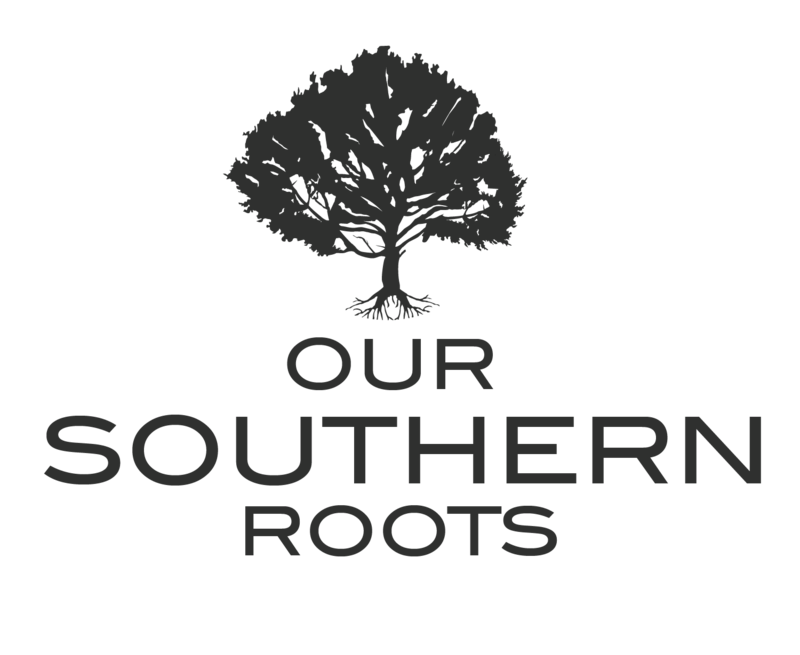 cost of lost business from an unreliable hosting company with poor customer support. device does not indicate the physical location.